Ofsted has published a consultation setting out plans to introduce separate inspection judgements for under-5 and post-16 settings. 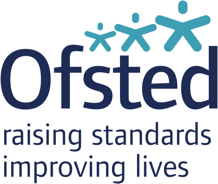 Anne Longfield OBE, CEO of 4Children said: “We welcome proposals for introducing separate graded judgments on the quality of nursery, reception, and post-16 provision in Ofsted school inspection reports from September this year. This is something 4Children have long been arguing the case for. “Recent changes on the regulation of childcare and the free early learning offer for disadvantaged two year olds will increase the demand and availability of places, with schools taking on a wider role in running after school and early years provision. As is the case for childcare for children of all ages, a high standard of safeguarding is needed. The consultation closes on 13 May - give your views here.